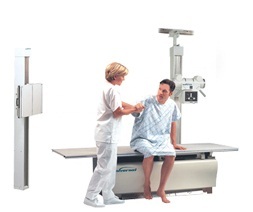 DBA: Radiographic Film Distributors, Inc.
Radiographic Imaging of South Florida supplies Orthopedic X-Ray equipment in Miami and the general South Florida area. Pre-owned equipment is available for certain proudcts. For a full list of our product inventory, please contact us for more information. Radiographic Film Distributors is a leading supplier of X-Ray Equipment, X-Ray Film and Digital X-Ray products in the South Florida area. We provide X-Ray Imaging related services and support to Dade County, Palm Beach County, Monroe County, Miami, Ft. Lauderdale and a number of other adjoining locations in South Florida. Proudly supplying South Florida with Digital X-Ray - Traditional X-RAY - X-Ray Supplies.